More baby birds learning to fly in our backyard. This little guy smacked himself hard on a window. He had a happy ending though. He was stunned for about 10 minutes, then he flew off to the trees. I know researching bird strikes that it helps for them to be kept upright (otherwise they can suffocate on their sides). I didn’t want to leave him on the deck as we also have visiting crows, and crows can attack stunned birds like this. 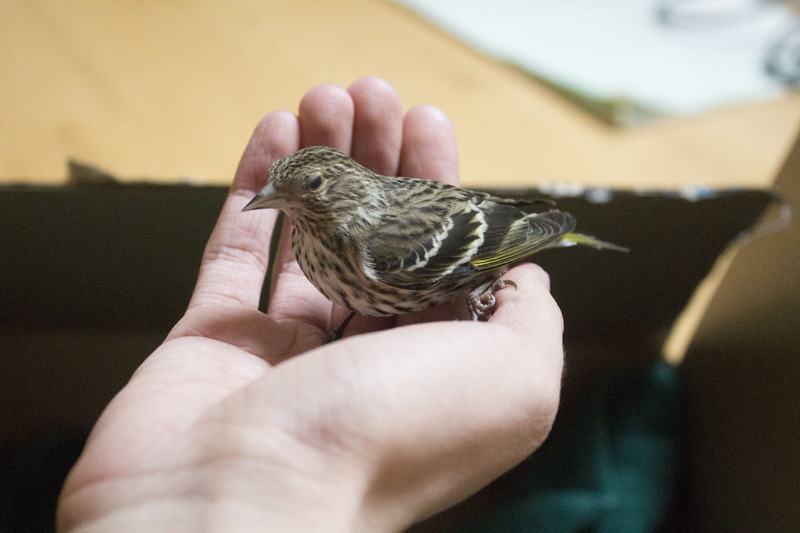 He was very light and seemed like he wanted to stay in my hand.